Focus: Toxic-Free Future advocates for the use of safer products, chemicals and practices through advanced research, advocacy, grassroots organizing and consumer engagement to ensure a healthier tomorrow. On toxics: See Toxic Free Future's full-length feature, here! Focus: The Toxics Action Center believes that everyone has the right to breathe clean air, drink clean water and live in a healthy, sustainable community, and works side by side with communities, empowering them with the skills and resources needed to prevent or clean up pollution at the local level. Passing a resolution in your town to ban toxic pesticides on public and private property. Encouraging your town to commit to switching to 100% renewable energy. Starting a composting program in your community to keep good nutrients out of polluting landfills. Joining a local group to push for clean energy, clean water, zero waste and protective policies on toxics in your state. Not sure how to get started on the above? Contact Toxics Action Center to get help now at 617-292-4821 or action@toxicsaction.org. Check out: Toxics Action Center invites you to join them for their Local Environmental Action conference on Saturday, April 27, 2019 in Worcester, Massachusetts. This annual conference brings together hundreds of community leaders, environmental justice advocates and activists from across the Northeast to build skills, discuss major topics facing our movement today and get inspired for the work ahead. Learn more and register at www.localenvironmentalaction.org. Focus: Savvy Women's Alliance educates transitioning consumers and those newer to the movement of nontoxic living on how to truly make change at the community level, in the lives of their families and on a national scale. We do this through building chapters that offer gatherings. During these "gatherings," women share their stories, exchange tips and tricks, provide nonjudgmental support and have fun, all in the name of simplifying their journey toward nontoxic living. Staying in the know. It's not your fault if you weren't aware of what is happening with the safety of everyday products many of us have used. Information about what's safe and what's not can confuse us or put us on overload! At the same time, this simmering movement is evolving every month, and topics like flame retardants and personal care products are offering us new places to learn about. Visit here to stay in the know, connect with Savvy's community and explore what can be done. Keeping in mind that budget friendly is doable. We'll tear down the old notion that all healthy, organic or nontoxic products are expensive and out of reach for every household. There are many options out there to create a healthy home and save money at the same time. Don't believe us? Heck, we love a challenge. Let us show you! Remembering that you are NOT alone. Down the road, another curious learner just like you is asking the same questions. And another and another. Savvy unites us. Surround yourself with like-minded individuals and your learning curve will take off like a rocket! Check out: "Just tell me what to buy?" Savvy Women's Alliance is seeking new brands to be included in their expanding Brand Recommendations Directory. Included brands meet Savvy's values across their full product line and the directory has become a go-to list for their members. Focus: Through a combination of science-based tips, guides and expert advice, Because Health helps people make well-informed, healthy and nontoxic choices that are good for their health and the environment. Because Health provides resources that meet people where they are and helps build a millennial community around a shared concern for how environmental risks can impact health. Small changes at home. Taking your shoes off at the door and washing your hands every time before eating can really limit the amount of toxic chemicals like flame retardants, phthalates and lead dust that get into your body. Store leftovers and pack your lunch in glass or stainless steel containers. While you're at it, use a glass or stainless steel water bottle, too! Purchase safer cleaning products that still work or DIY some affordable and healthy cleaners using kitchen staples. Vacuum with a HEPA filter and instead of using a feather duster, use a wet cloth to wipe down surfaces to really capture that dust. Switch one personal care item in your bathroom (e.g. shampoo, soap, lotion, deodorant, makeup) to a nontoxic version. Ditch the nonstick pans. (There is no such thing as a nontoxic coating!) Instead use alternatives like cast iron or carbon steel that are naturally nonstick. We promise you can still have the perfect omelettes and scrambles! Check out: Because Health's Instagram (@because_health) for positive, actionable, science-based and approachable content. In addition, they post links to petitions and different actions that people can take to advocate for policies that protect both people and the planet. Focus: The Coalition for Clean Air seeks to promote, defend and expand climate justice policies and public health that that lead with equity and protect public health, improve air quality and prevent climate change. Considering an air quality monitor. Technology advancements have revolutionized the way we see air pollution. Today, modern devices are both relatively inexpensive and can give you detailed results in real time. See CCA's monitoring network here. Changing the cabin air filter in your car. If you drive a car built after 2000, you should have a cabin air filter, the job of which is to prevent pollutants, such as dust, pollen, smog and mold spores from entering your car. At under $30 in most cases, changing it every 18,000 miles will go a long way to improving your health. Cleaning the filter in your home. A dirty air filter in your home will reduce air flow, drive up cooling inefficiency and see your power bills skyrocketing. Committing to using natural cleaners. Harmful fumes from non-natural cleaning products can cause health complications including asthma and other respiratory problems. Check out: On October 2, 2019, join Californians to clear the air as part of California's second annual Clean Air Day. This unified day of action will focus on the simple solutions each of us can do to improve air quality. These simple actions can be taken by individuals, companies, government entities and even communities. Clean Air Day allows for individuals and communities across the state to participate in a way that makes sense for them; everyone is invited to take the Clean Air Pledge and help clear the air! Sign up here to receive updates. Focus: Équiterre offers concrete solutions to accelerate the transition toward a society in which individuals, organizations and governments make ecological choices that are both healthy and equitable. In partnership with local communities, Équiterre contributes to the development of public policies as well as civic and business practices that lead to a low-carbon economy and an environment free of toxic substances. Avoiding the most toxic pesticides by choosing organic or ecologically-grown foods as much as possible. This means choosing products with an Organic certification stamp, or otherwise, getting to know the people who produce your food and asking them questions about the ways in which they grow it. An easy general rule of thumb to keep in mind is: the less synthetic chemicals they use, the better it is for you, the farmer and our planet! Avoiding the use of synthetic pesticides on your lawn and garden. Try growing locally adapted varieties of grasses and plants that will be less vulnerable to pests. Plant native species that attract pollinators and other insects to control pests and change your perspective; dandelions are not only beautiful but tasty, too! Choosing personal care and beauty products that have simple ingredients and try avoiding those which contain lots of hard-to-pronounce ingredients that are often the most toxic, like: parabens, phthalates, triclosan, butylated hydroxytoluene (BHT) and siloxanes. Check out: In Canada, Équiterre is leading a campaign that invites citizens from around the world to call on the Canadian government to withdraw glyphosate, the world's most used pesticide (commonly known as the toxic ingredient in Roundup) until comprehensive evaluation of risks is complete. Join Équiterre in their growing international movement working to ensure that when it comes to toxics that pose risks to our health and environment. Our governments commit to restricting the most hazardous and to always using credible, independent science in their assessments of risks. Focus: Breast Cancer Prevention Partners (formerly the Breast Cancer Fund) is a science-based advocacy organization that works to prevent breast cancer by eliminating exposure to toxic chemicals and radiation. BCPP's focus is on the intersection of breast cancer prevention and environmental health. Reading ingredient labels: It is perfectly legal to use ingredients linked to cancer, endocrine disruption and reproductive harm in personal care products, cosmetics, cleaning products and food packaging. Find safer alternatives using apps and websites like Think Dirty, EWG's Healthy Living and the Good Guide. Also, check our Glossary of Exposures to learn more about chemicals to avoid. Avoiding 'fragrance' on ingredient labels: Fragrance (or parfum) is a cocktail of ingredients that can include dozens of potentially harmful chemicals. As often as possible, keep away from purchasing and using personal care products, cleaning products, clothing, and home goods that list 'fragrance' as an ingredient. Choosing fresh, organic, and hormone-free: Choose fresh (or frozen), organic and hormone-free foods to avoid exposure to pesticides, added hormones and other possible toxic chemicals like bisphenol, often found in packaged foods. Buying products grown organically is not only good for your health, but it's also good for families, farmworkers and the environment because it reduces emissions and waste. Remember to cut the distance from farm to fork by frequenting your local farmer's market or joining a local food co-op. Washing your hands: Washing your hands kills germs and reduces exposures to unsafe chemicals. Many chemicals from everyday products end up in household (or workplace) dust. Washing dust off your hands reduces exposure to toxic chemicals, like flame retardants. That said, avoid antimicrobial soaps because they often contain hormone-disrupting chemicals. Stopping your use of disposable plastics, especially single-use plastics like bottles, bags and straws: In addition to being bad for our planet, plastics can leach harmful chemicals like BPA and phthalates into your food and beverages and thus your body. Use glass, ceramic, cloth (like beeswax-infused organic cotton) and stainless-steel food storage containers and reusable BPA-free water bottles. Check out: Get active with BCPP in 2019! Check out their event page to see if this year will be the year you will climb a mountain, trek through Zimbabwe, run a marathon or create your own challenge. Focus: Naturally Boulder is on a mission to nurture conscious growth, leadership, and innovation in the Colorado natural products community. Naturally Boulder's vision is to create a healthier, more conscious world that prioritizes the products and practices represented by the Colorado natural products community. That businesses and consumers use and consume natural products, defined by Naturally Boulder, as products and practices made with the goal of promoting human, animal and environmental health. Practicing organic, biodynamic and other restorative practices. That regenerative businesses measure success not only by financial gain but also by long-term, conscious business practices that positively impact human health, communities and the planet. 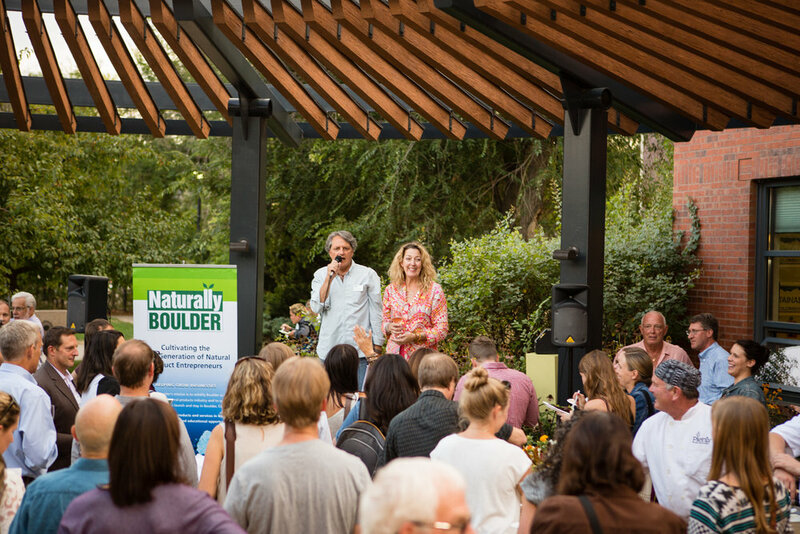 Check out: Naturally Boulder's flagship event is its annual Pitch Slam and Autumn Awards. Last year's event saw over 1,500 in the course of two days. Learn more about this year's Pitch Slam and Autumn Awards here! Focus: The National Toxics Network (NTN) works toward pollution reduction, protection of environmental health and environmental justice for all. As the Australian focal point for the International POPs Elimination Network, they are committed to creating a Toxics-Free Future and working toward the full implementation of the global chemical conventions to end toxic pollution. Filtering your drinking water and eat low down on the food chain. Detox your personal care products to avoid direct skin exposures to petrochemicals and heavy metals and opt for simpler plant and mineral based products. Adopt genuine green cleaning practices and products to protect your indoor air quality. Check out: NTN has launched their Ocean Pollutants Guide – Toxic Threats to Human Health and Marine Life to inform people of the double threat posed by toxic ocean pollutants and plastics contaminating our oceans. They're calling on global leaders and the community to work together to end ocean pollution and clean up the legacy of toxic pollution and plastic impacting the marine ecosystem.